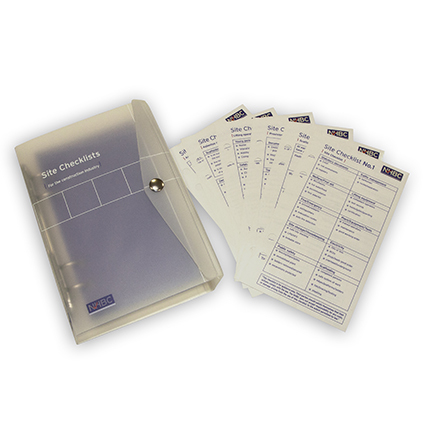 A binder containing construction site checklists which are ideal for monitoring day-to-day health and safety. This compact folder provides site managers with step-by-step checklists to identify and assess health and safety risks on site. These checklists provide detailed information to ensure compliance with current legislation and are provided in a pocket-sized, durable folder for easy reference. The checklists are easily wiped clean and can therefore be used for more than one site. Ideally suited to smaller builders.